From sultry saris to film fun and desi drama, MissMalini.com has you covered when it comes to seriously juicy Bollywood gossip. Here’s our ‘Quick 5’ chat with the site’s founder Malini Agarwal, and if you haven’t checked out our extended profile piece on her yet, simply click HERE. 1. Consumers have more choice than ever, with online and print co-existing in today’s media landscape. Malini believes ‘both have their own place’ in the current media landscape. ‘I still love the idea of looking through a glossy – the smell of it and the feel of it,’ she tells I Am Starstruck: Bollywood. However also emphasising the appeal of the immediacy of the internet, she explains her website is able to accommodate for audiences who would like to read the news as it happens. ‘For instance Shahid Kapoor gets married. You don’t have to wait till the next day for pictures. It’s right up there,’ she says. ‘It’s also interactive,’ Malini says of the blogosphere and increased prominence of social media, explaining she thinks this ‘is really great because you can sit and look at a TV or look at a newspaper and say “oh my god, I can’t believe this is happening”‘, but on the internet fans are ‘literally one tweet away from your favourite celebrity’. 2. 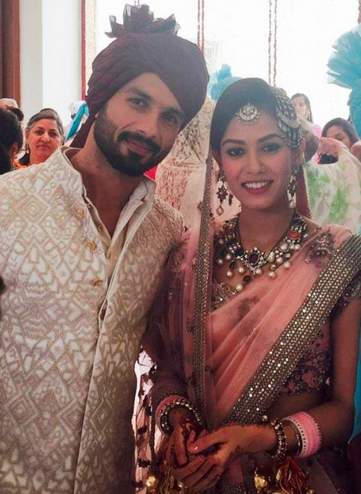 Speaking of Shahid Kapoor’s wedding, his bride Mira Rajput certainly nailed it in the bridal style stakes. ‘I think she looked fabulous,’ Malini says, referring to the array of outfits Mira sported during the wedding festivities, including designs by Anita Dongre and Manish Malhotra. Adding ‘the jewellery really complemented her’, Malini says the 21-year-old beauty ‘looked really well put together and it seems like she has really good taste’. 3. 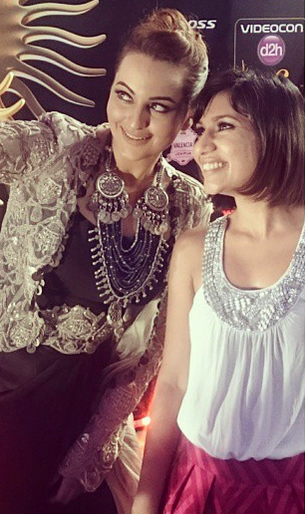 No stranger to strutting the red carpet herself, Malini knows how to put her best fashion foot forward. The 38-year-old’s stylist is Marvin D’Souza, who has broad experience styling promotional campaigns across television, and now works as the Head Stylist for MissMalini.com. 4. Bollywood is now a global phenomenon, especially with the world wide web. There’s no doubt Australian cricketer Brett Lee has a legion of fans abroad, and is set to further cement his popularity in India with his first film unINDIAN. ‘I think it’s amazing,’ Malini says of the sportsman’s project also starring Tannishtha Chatterjee. 5. Miss Malini dares to bring her spice Down Under. And Australian fans can fret not, as another trip may be on the agenda.